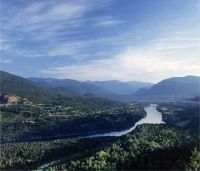 The Kootenay-Columbia School District is located on the slopes of the picturesque Monashee and Selkirk Mountains, and in the valleys of the Lower Columbia River Basin. The district serves six municipalities and numerous small communities. Over 3700 school age students attend 10 schools; including six elementary schools, one elementary/secondary school, two secondary schools, and one alternate school consisting of two campuses. The District also operates a Community Education Program. Over 650 employees work for School District No. 20. Located in southwestern B.C., close to the U.S. border and on the Columbia River, our students are being prepared for a prosperous and productive future. For more information about individual schools, please use the links on the left. School District No. 20 is committed to serving learners, in partnership with our community, by providing quality public education.